I'm currently at 28 weeks now but it honestly feels like I've been pregnant forever lol. It could be because of this unbearable back pain I've been dealing with since early second trimester. I can't really be as active as I'd like to be because the slightest wrong move can put me in severe pain. So I've been advised to take it easy and prescribed plenty of bedrestT_T. So if you're heavily pregnant or a plus size girl, you can check out what they have at Misclaire plussize clothing. 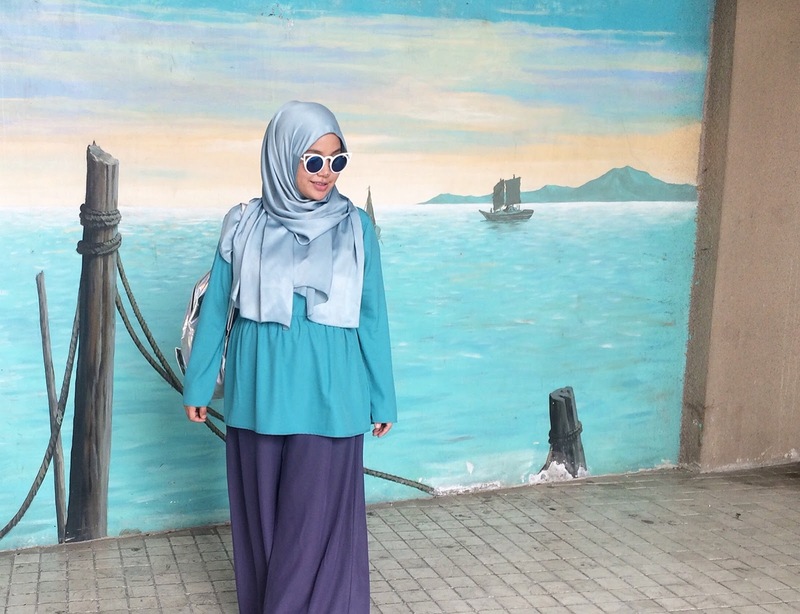 I recently got this Felice blouse in ocean blue and comfy dusty blue palazzos. I'm wearing size 2XL for the top and 3XL for the palazzos. I can't tell you enough how comfy they are. Loose and lightweight. My kinda maternity stle!